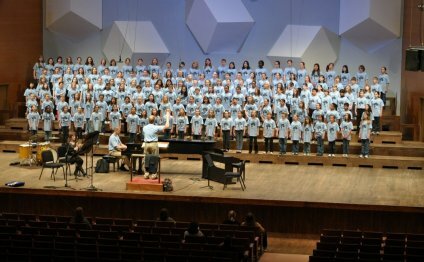 The ACDA supported 3rd MS/JH National Conference for Choral Music, (May 6-7, 2016, University of North Texas) is shaping up to be a fantastic event; we are positive that middle school choral music is going to shine brighter than ever. We have used the theme “You Can Too” to encourage all of us to strive beyond our own expectations and limitations. Friday, May 6 (5:00 p.m.-8:00 p.m.) includes three, sixth grade, choral music classrooms. The boys’ classroom and the girls’ classroom will demonstrate classroom procedures and skills related to vocal development, pitch development, rhythm development, sight-singing, and repertoire. The mixed gender classroom will demonstrate how movement can be used to enhance learning. Saturday, May 7 (8:00 a.m.-4:30 p.m.) is packed, starting with the nationally recognized middle school teacher/motivational speaker, Jack Berchemeyer. The performance and demonstration choirs are superbly qualified, and the presenters are topic experts, who know the middle school world through years of successful experience. National events committed to middle school choral music depend on the interest, support, and attendance of middle school choral music educators from across the nation. We sincerely hope that you will share our flyer and our story with the all interested music educators in your state. Additionally, we hope you will make our flyer available on your state ACDA web site. Hello, California ACDA! I am honored to be your Junior High/Middle School R & S Chair. I love teaching junior high aged students because of their energy, their openness to creating music, their love of learning, and their amazing senses of humor. I feel so lucky to teach this age because I am part of something magical: students developing a love of making music that will last their whole life long. Many of us remember an inspiring college or high school teacher that led us to this profession, but for most of us, our love of music and performing began earlier than that, in elementary or middle school.Feel free to contact me at mepeters79@gmail.com with any other questions, ideas, or concerns for junior high teachers that you think need to be heard. If you know of any events that ACDA members should know of, please let me know so I can share with the rest of our junior high and middle school choir teachers.